Monday, September 3, 2018 - Guys, check out some amazing talent here. 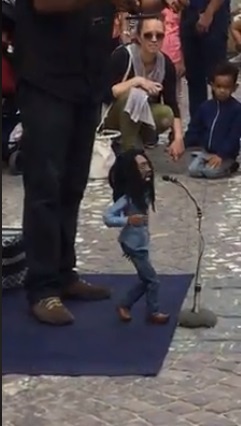 This artist came up with something interesting to honour Legendary Reggae singer Bob Marley and those who watched him in the streets were impressed. Such talents should be supported.